At Neuadd Y Castell, enjoy being close to Bangor’s buzzing high street cafés, restaurants and shops. At the weekend, head to The Fat Cat Café Bar for a drink and relax on the comfy leather couches. Hop on a bus to the waterfront and admire the majestic Menai Bridge, visit the historic Penrhyn Castle or go for an adventure in the surrounding Snowdonian Mountains. With its vibrant student population, easy-to-navigate town centre and spectacular natural beauty, Bangor offers a unique student experience. 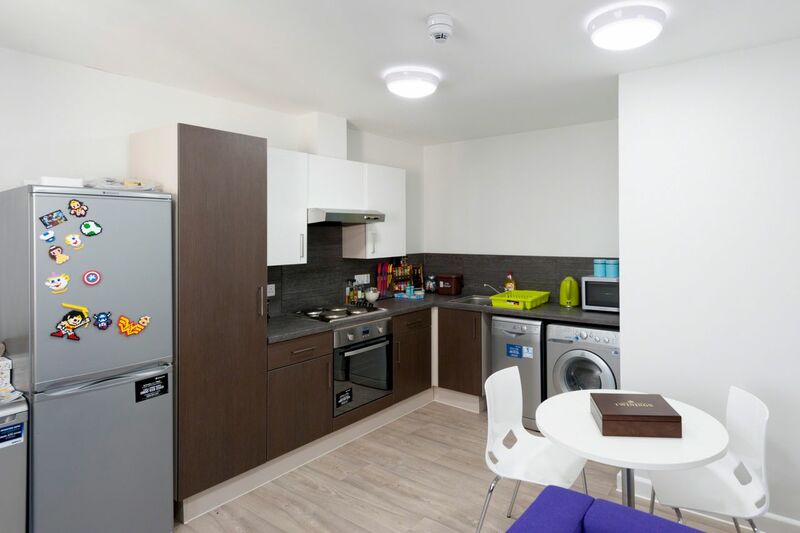 Just 11 minutes stroll from Bangor University and five minutes from the train station, Neuadd Y Castell is the perfect base for your studies and for enjoying Bangor’s bustling social scene. The building even offers bike storage, so you can zip into campus or to the shops in just three minutes. There are two big supermarkets within a 7 minute walk from home too, so you’ll never run out of the essentials. Neuadd Y Castell is a modern building with big windows that let lots of light into every apartment. Rustle up a storm with housemates in your spacious, open-plan kitchen and you’ll never have to moan about who’s turn it is to do the dishes as you’ll have the luxury of your own dishwasher. When you want to avoid cooking and cleaning on a lazy Sunday, walk just four minutes to the gorgeous Blue Sky Café for brunch and don’t forget to sample their very own Welsh feta cheese. Back at Neuadd Y Castell, unwind on your comfy double bed or get some study done at your own desk. Make the most of the free Wi-Fi to polish off that all-important assignment. When you want some company, lounge on the sofas with your housemate or invite some friends around for study sessions. 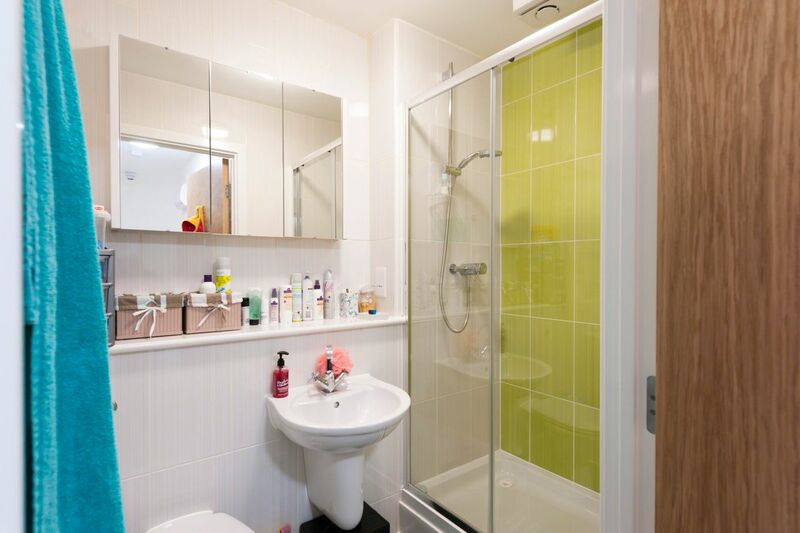 You’ll also share the bright, stylish bathroom with your housemate. Don’t worry about putting aside money each month for bills as all internet, bills, and contents insurance are covered in the rent. Plus, there’s CCTV and an on-site maintenance team to make sure you’re taken care of. We couldn't find a room that matches your preferencesView all Private Room in Neuadd Y Castell.